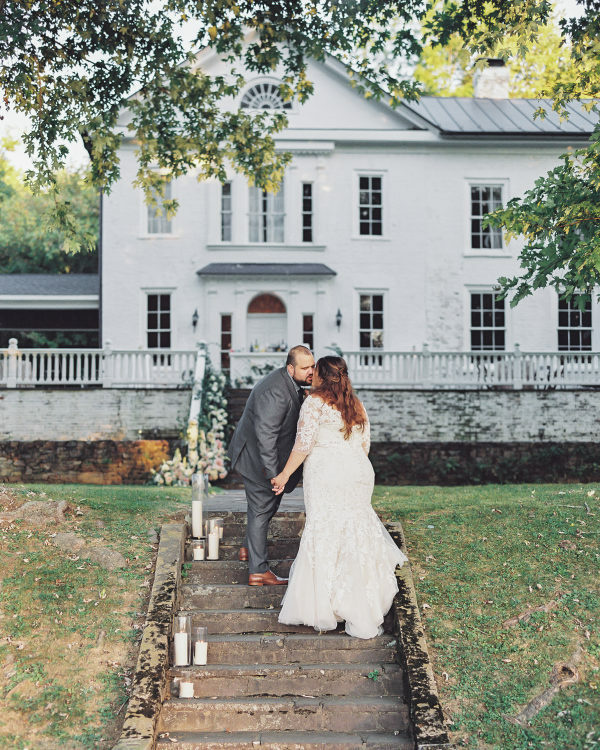 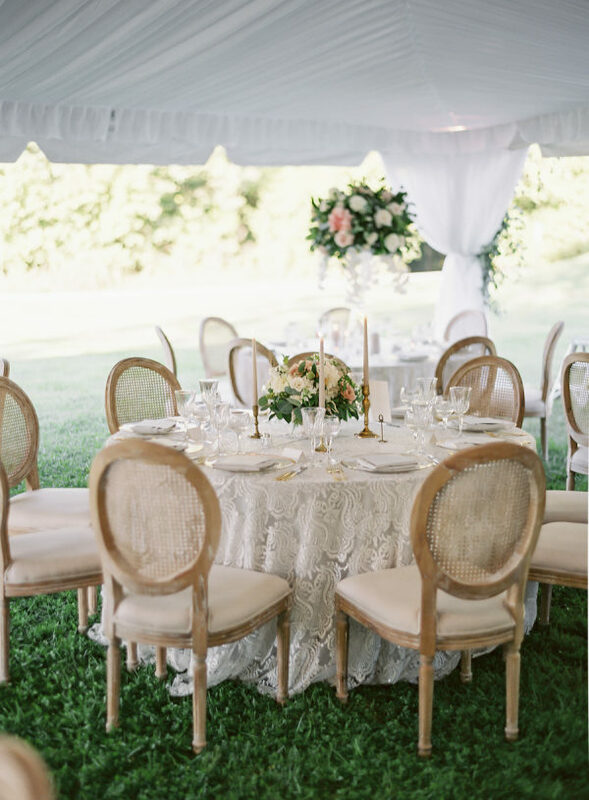 We have fallen completely in love with this outdoor wedding at Virginia’s Retreat At Cool Springs! 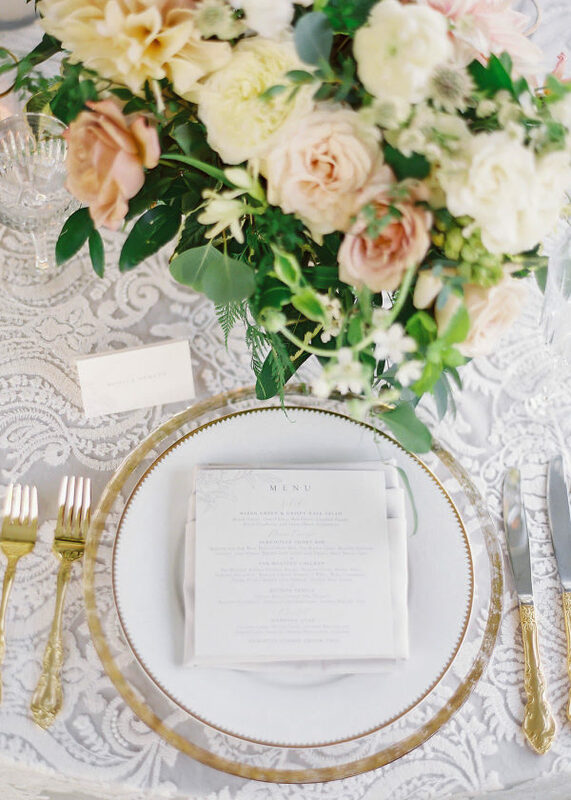 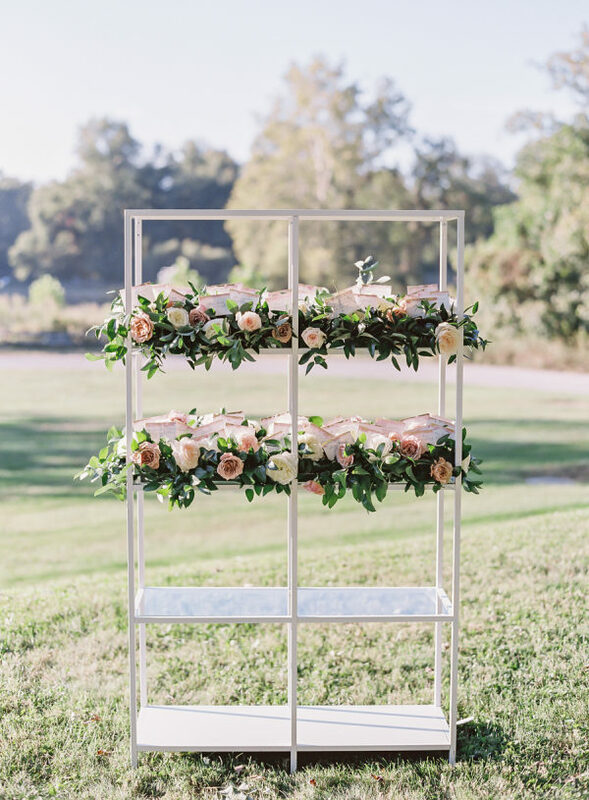 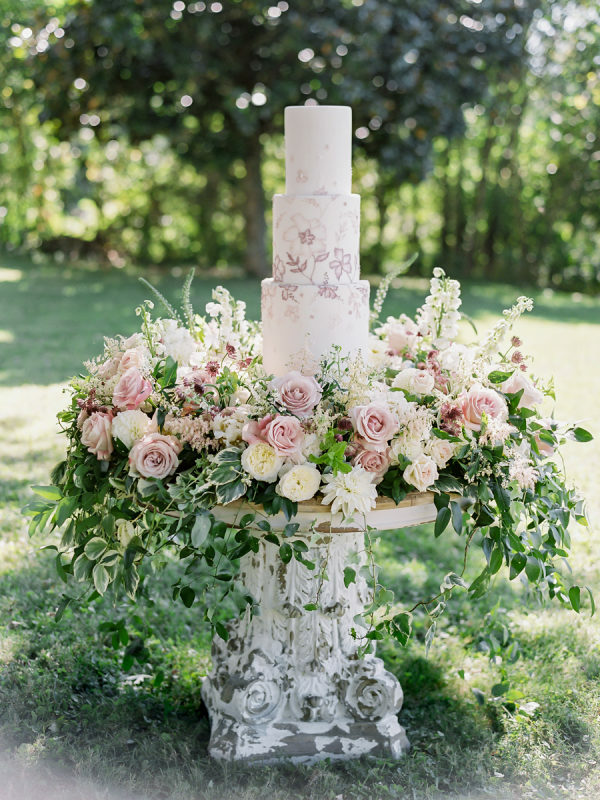 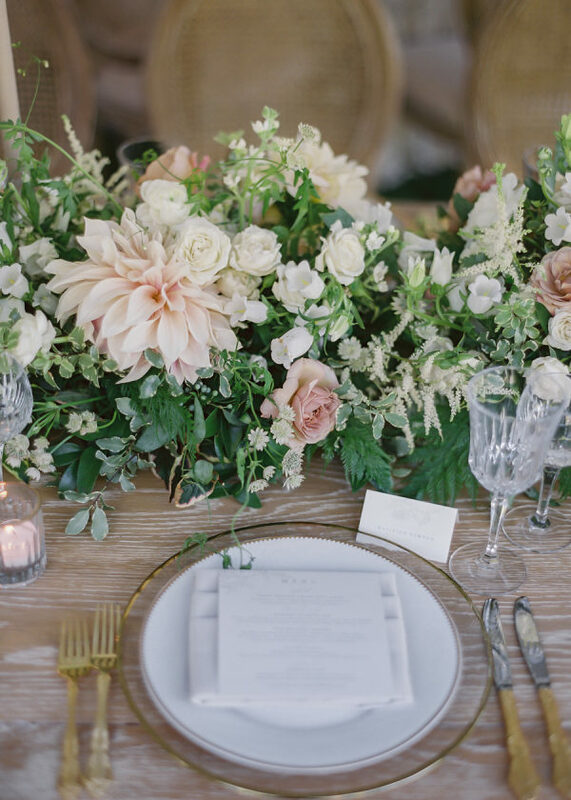 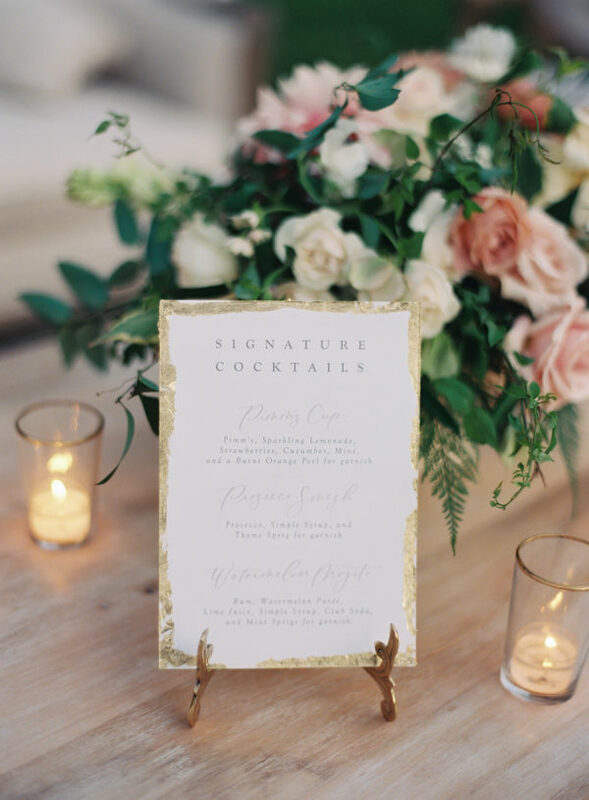 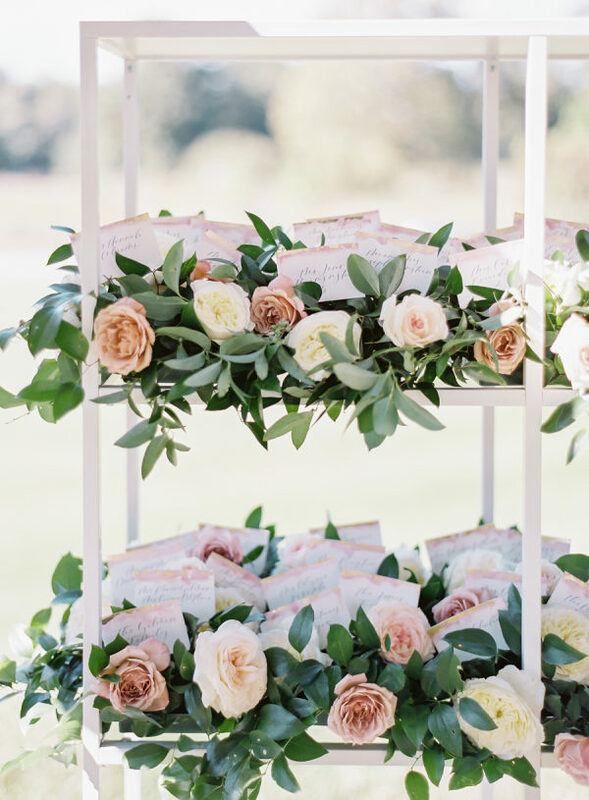 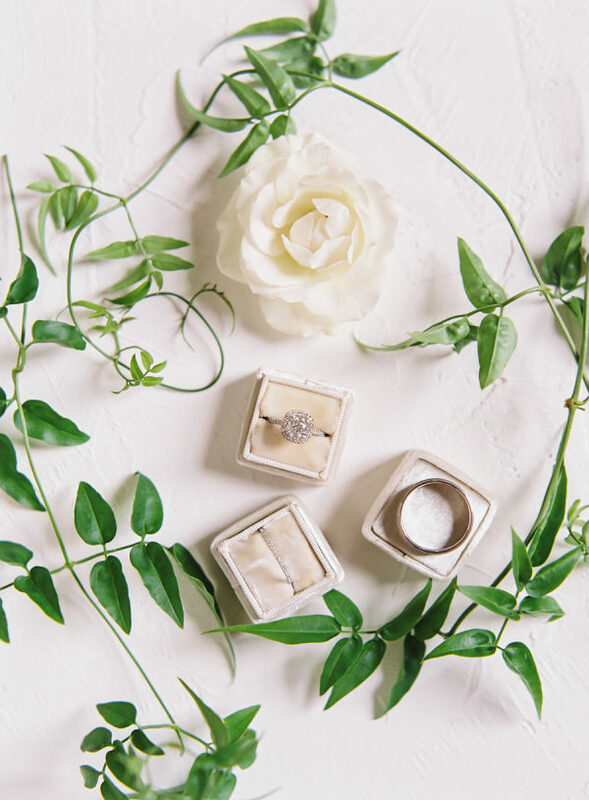 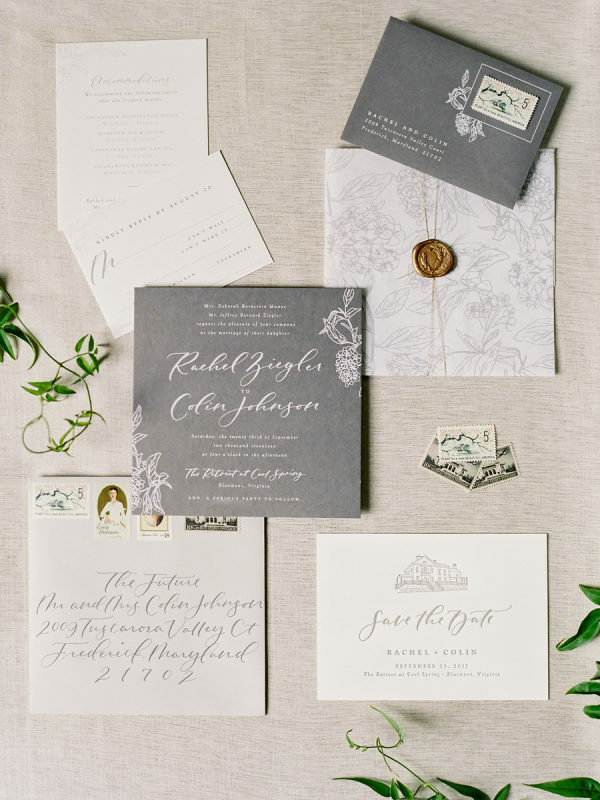 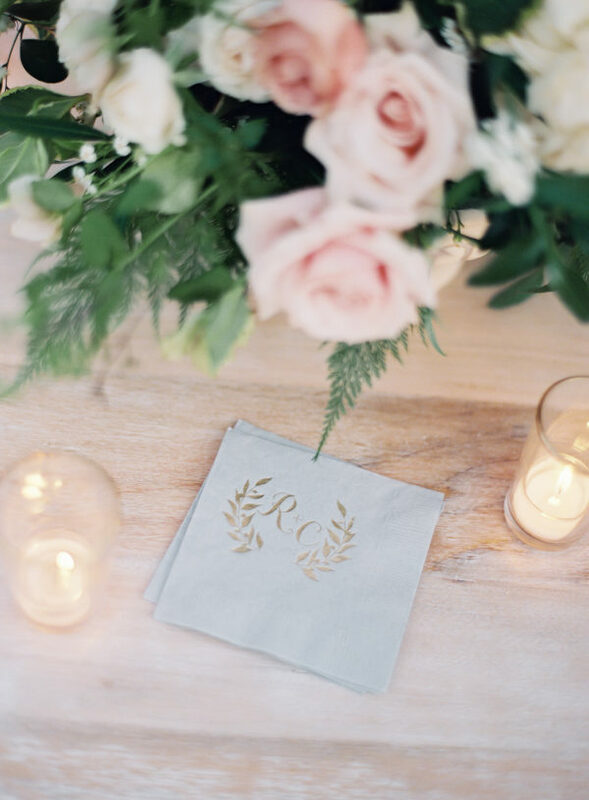 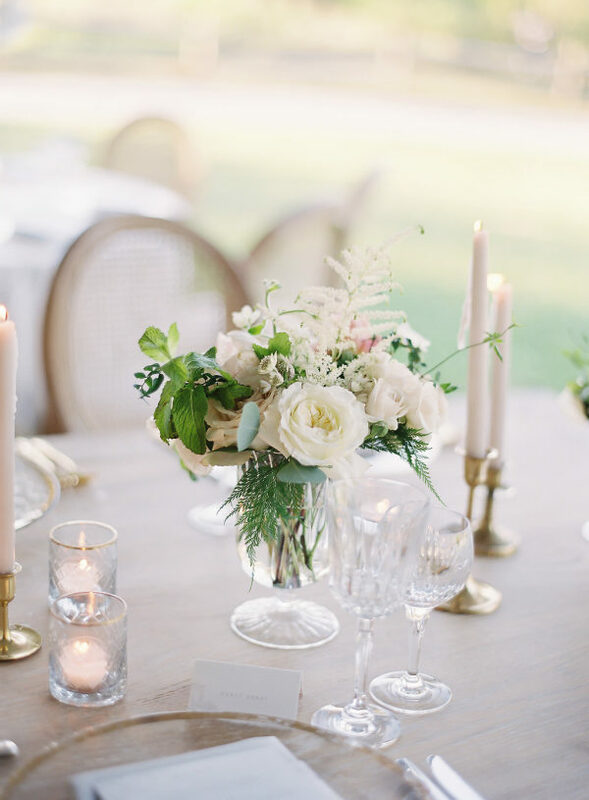 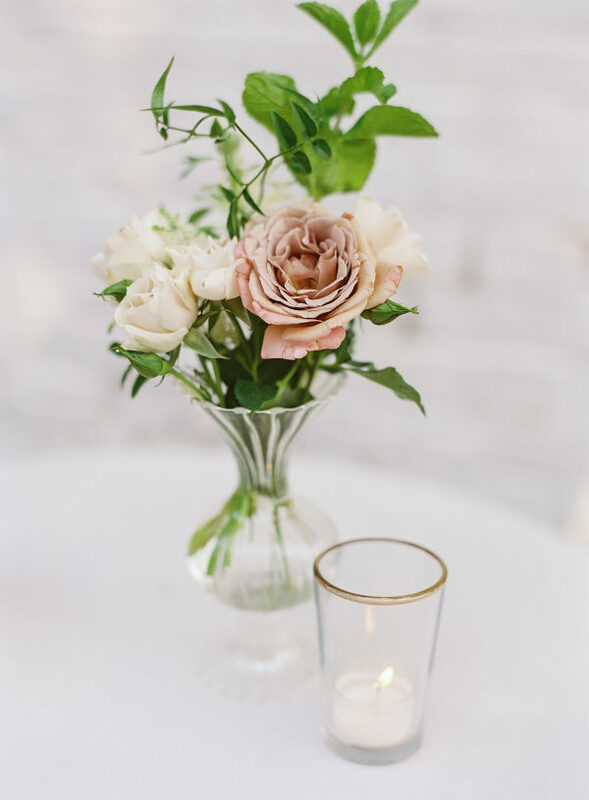 We’re calling all lovers of flowers and garden-themed celebrations, this fabulous affair captured by Vicki Grafton Photography is one that you’re not going to want to miss. 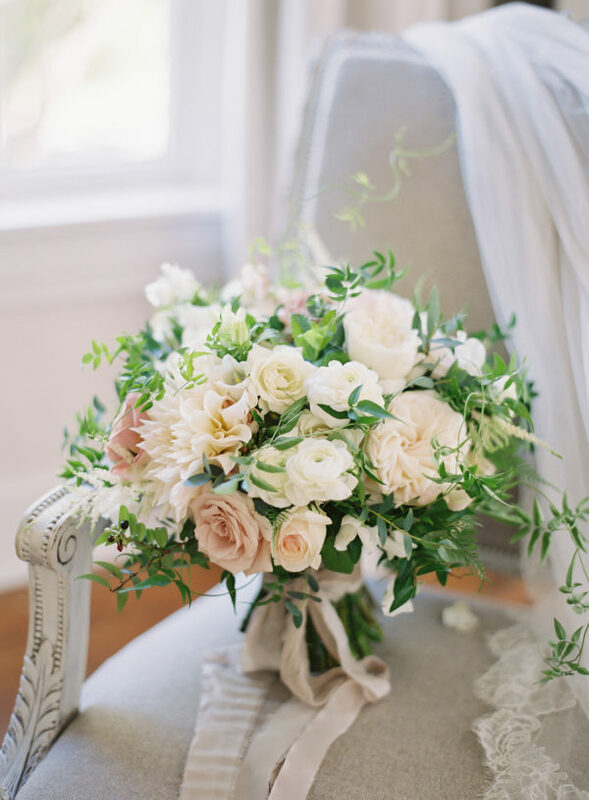 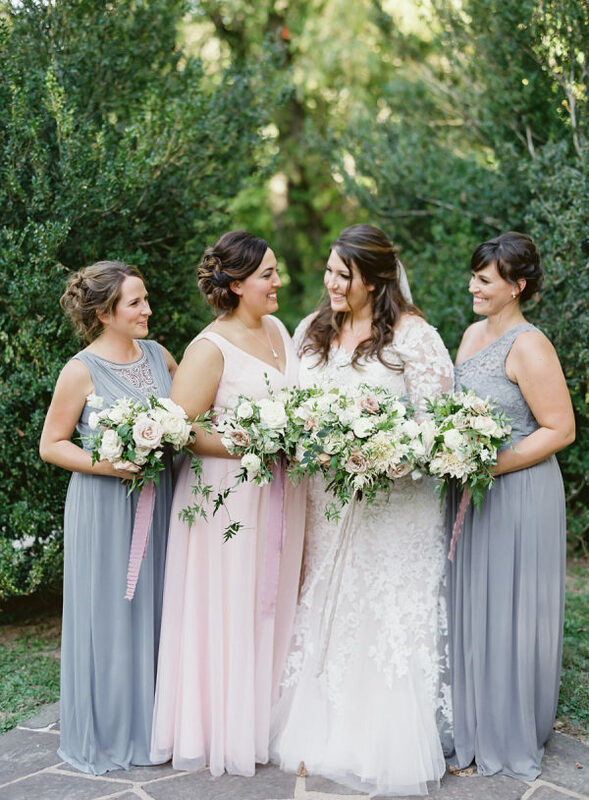 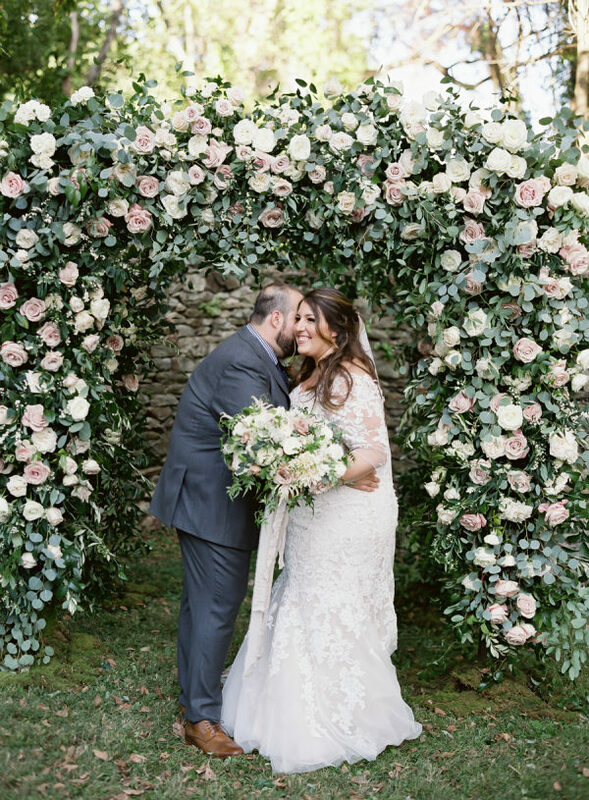 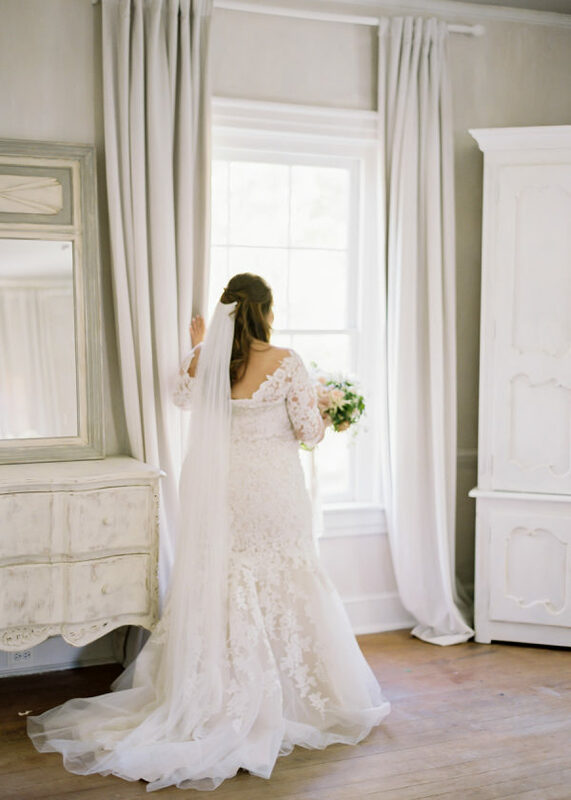 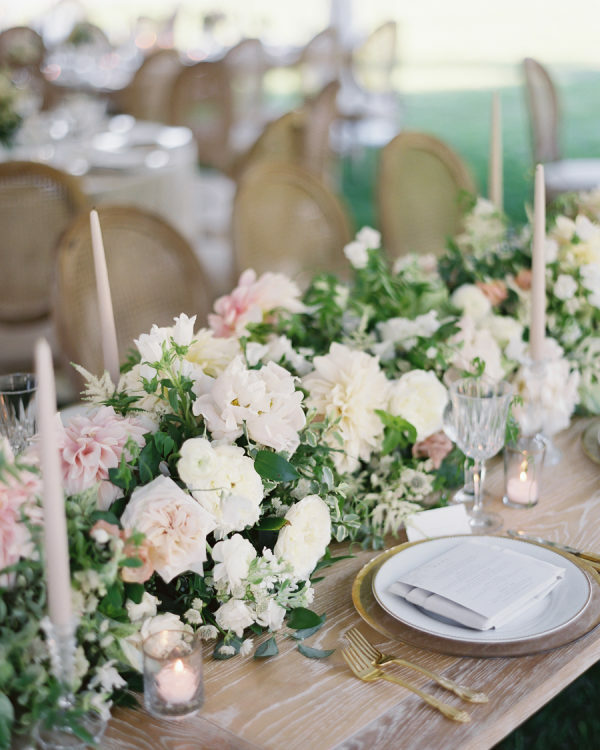 The beautiful bride, owner of Floral & Bloom Designs, was her own florist for the day and made sure the design was everything she wanted, featuring classic and soft white and blush flowers with greenery, which complemented the chic venue’s laid-back vibe. 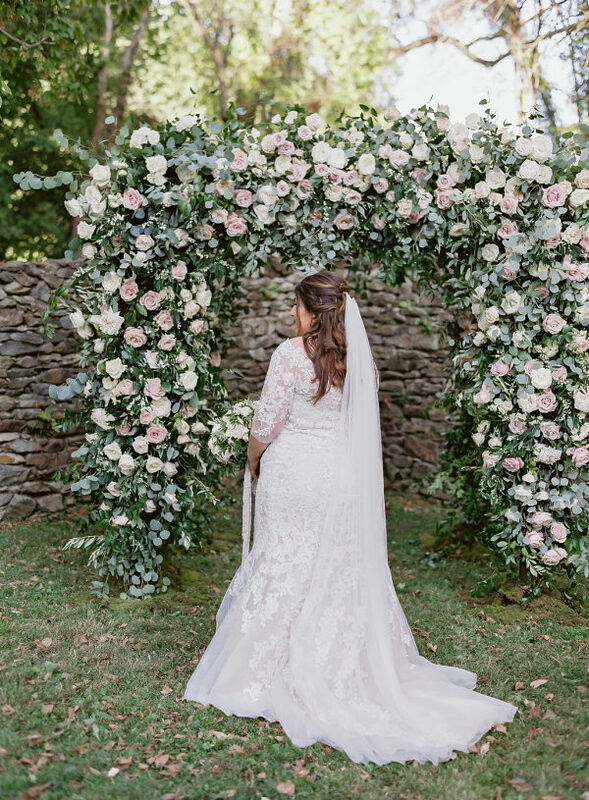 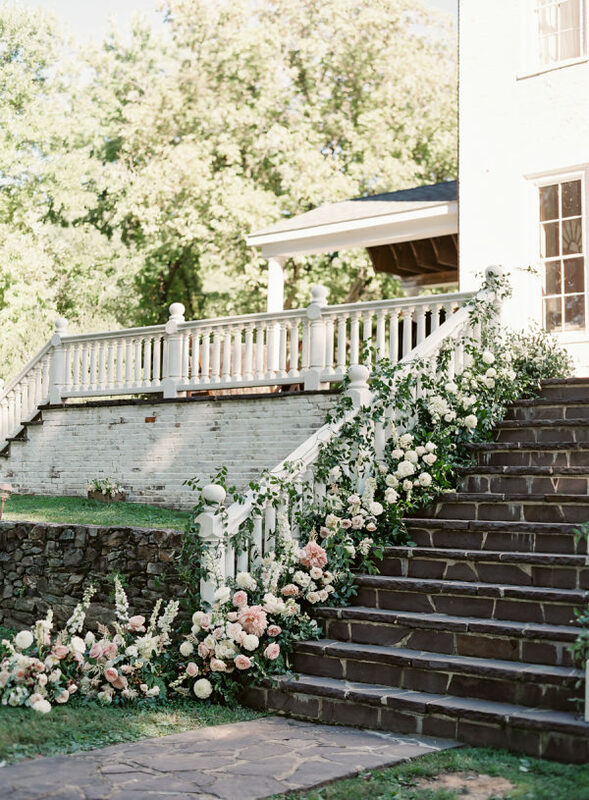 Lush, fresh and romantic garden roses and dahlias appeared on the dreamy floral chuppah, down the staircase, on the breathtaking flower-covered cake table and of course, over the reception tables. 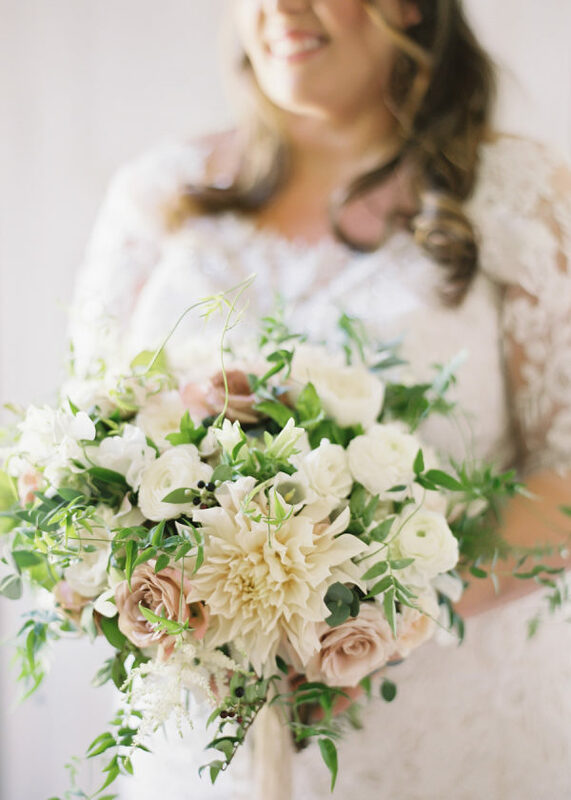 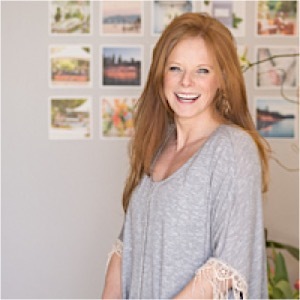 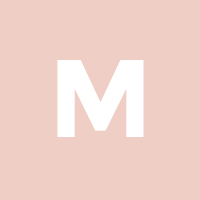 You’ll be fully amazed after seeing this professional flower inspiration! 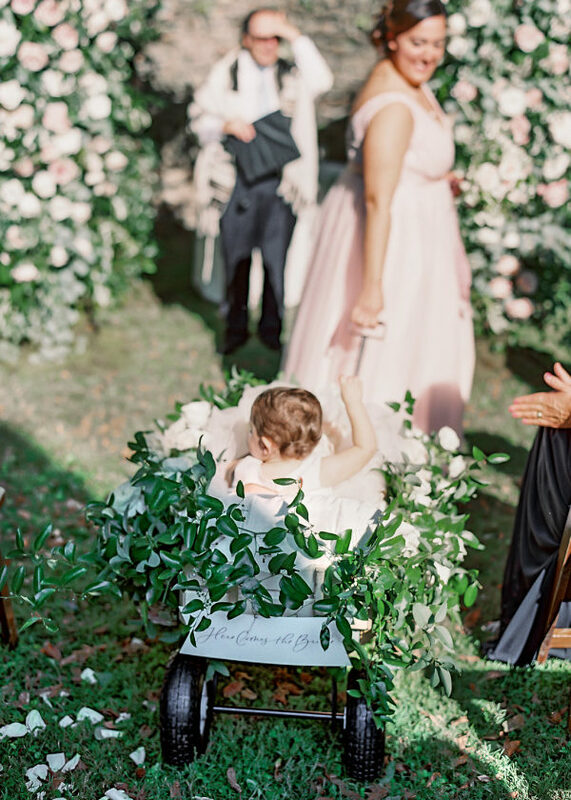 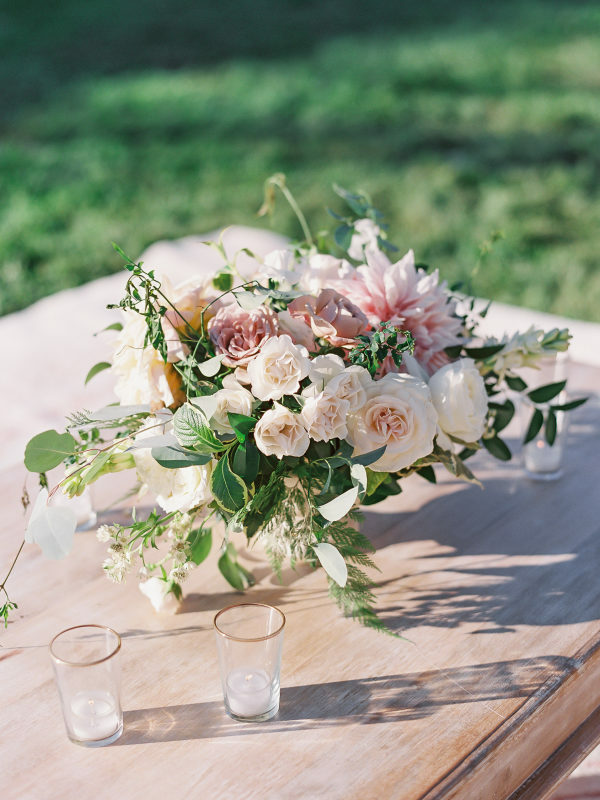 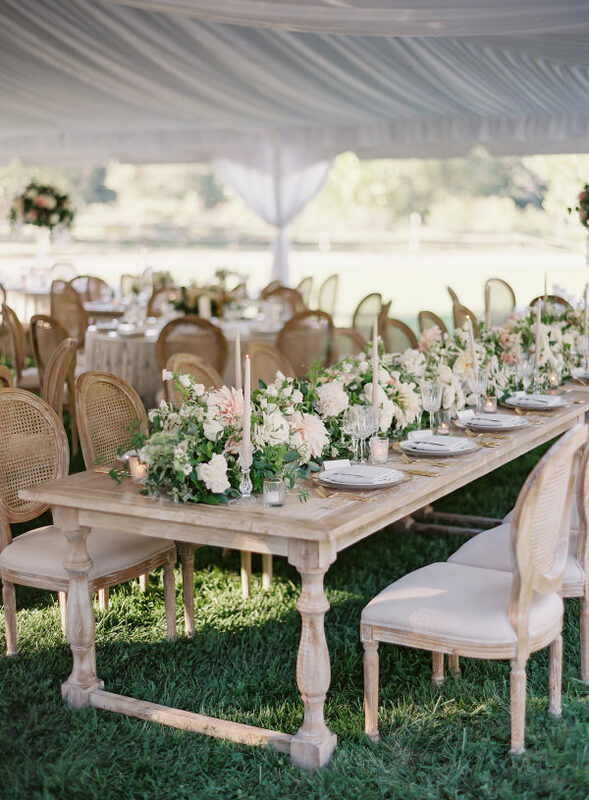 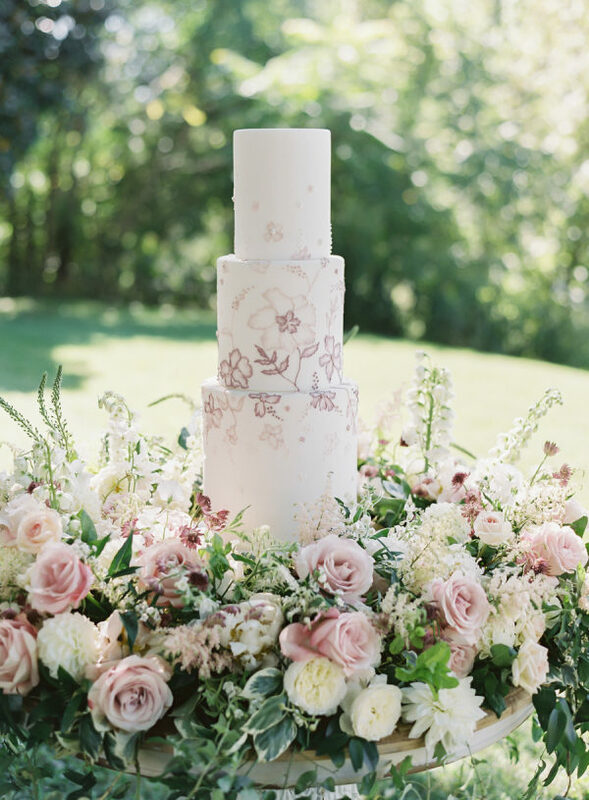 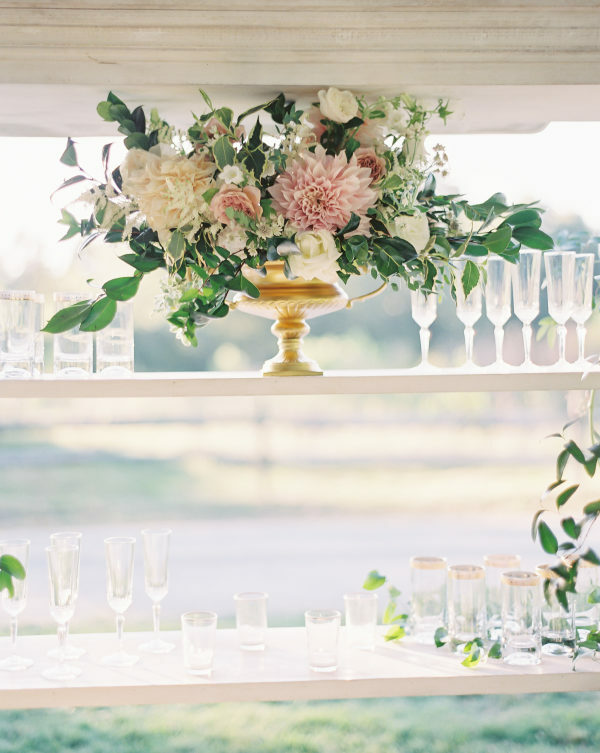 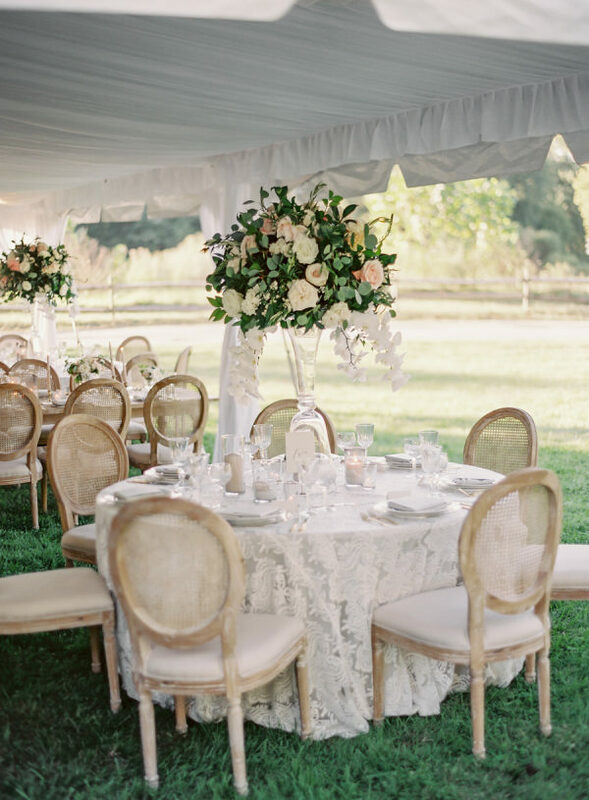 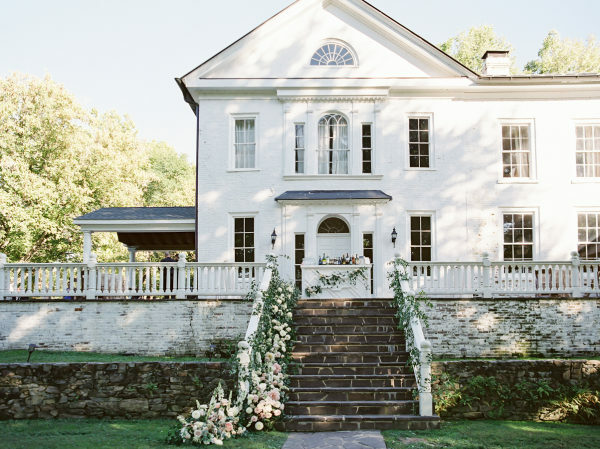 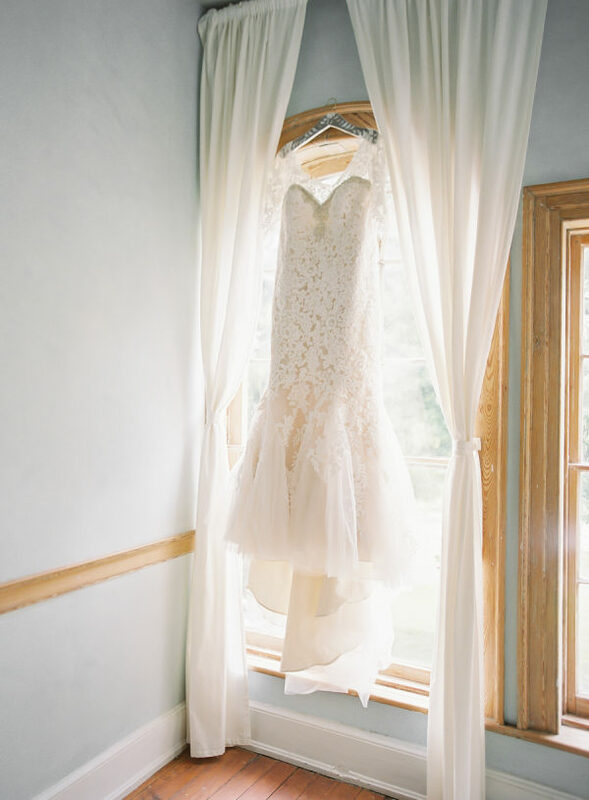 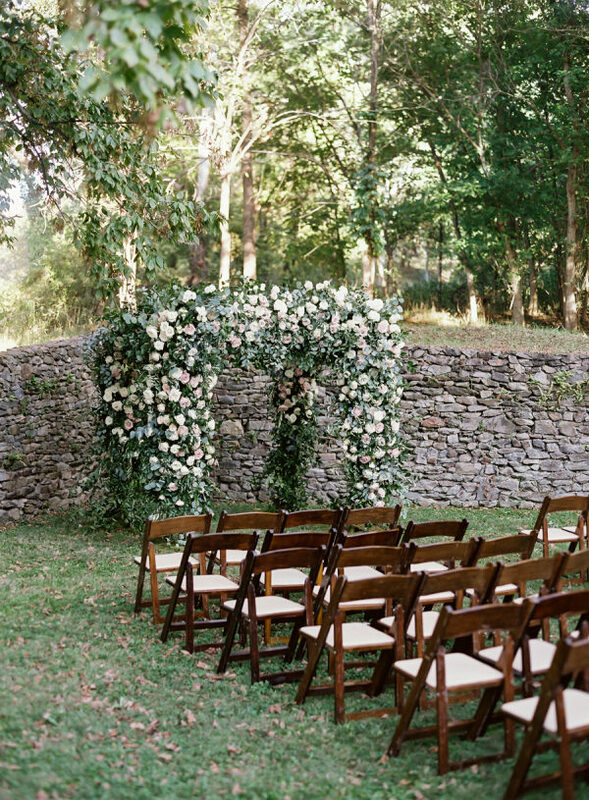 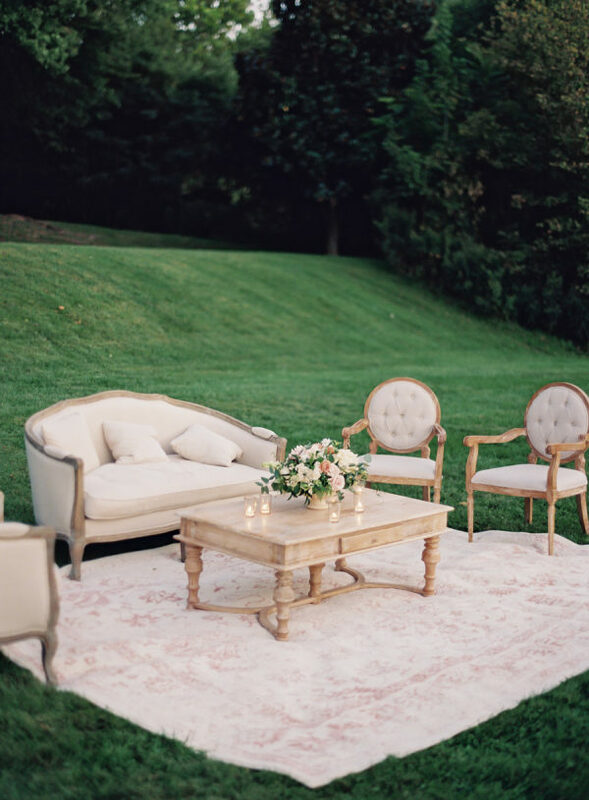 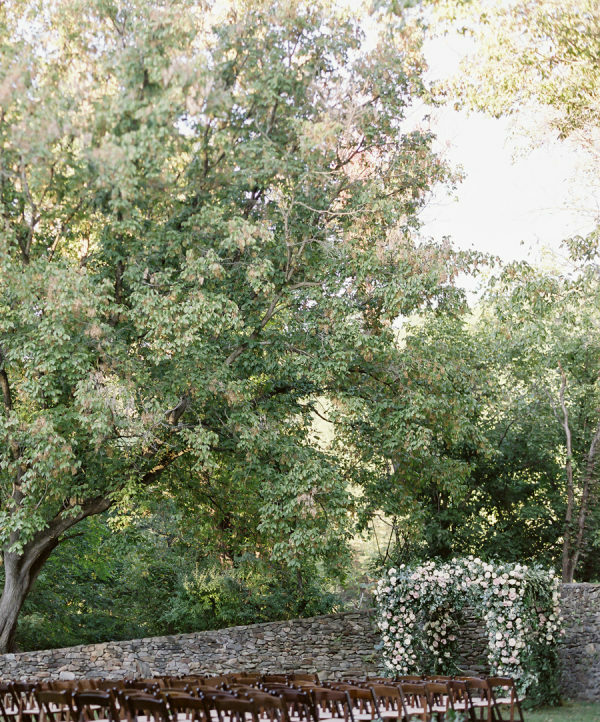 See this adorable outdoor wedding below!